Accelerated Freefall Sky Diving Lessons in the Washington DC Area. 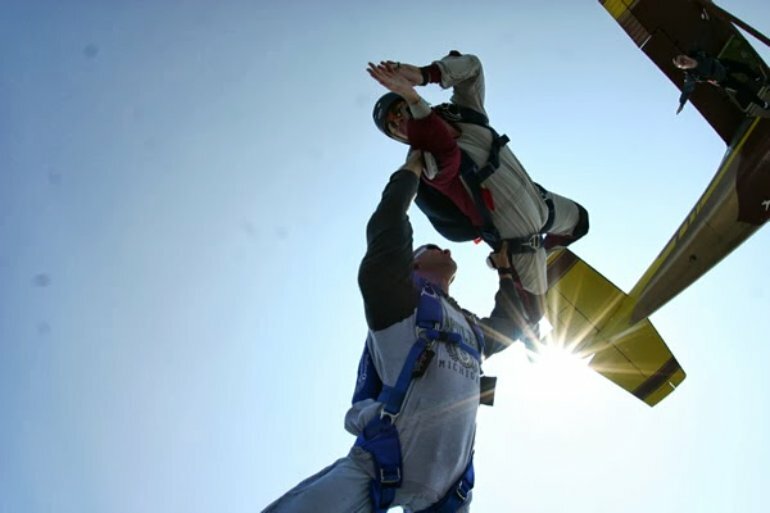 Accelerated Freefall Sky Diving Program - Get Certified! Skydive Capitol City offers the best skydiving lessons and instruction in the Washington DC area. Our AFP Program is the newest and safest way to start your skydiving career. After finishing the sky dive certification program, you will be amazed at what you discover in the world of skydiving - belly flying, freeflying (vertical flying), and skyboarding. Or, maybe try the new birdman suit! Everything is just one leap away. For more info about becoming certified please call us.